As a small organisation SRI Services regularly works in collaboration with others who share our aim of ‘growing SRI’. Julia supports a number of organisations in a independent capacity; for example she is an UKSIF board member, on the Transparency Task Force Advisory board, an adviser to RSMR, a member of the Parmenion Ethical Oversight Committee, a member of the Standards International Impartiality Committee and on an expert panel for Good With Money. Fund EcoMarket – the SRI database tool and fund hub – is made possible thanks to support from Liontrust, Pictet Asset Management, Rathbones, Quilter Cheviot, Sarasin Partners, Triodos, Unicorn Asset Management, M&G, JanusHenderson, Kames, Foresight and WHEB. Their funds (and others) can be found on www.FundEcoMarket.co.uk. Julia was appointed to the Parmenion Investment Managers ‘Ethical Oversight Committee’ in August 2013. Parmenio n is an award winning Discretionary Fund Manager and investment services provider who offer a range of risk graded investment portfolios. This includes four different ethical strategies – each with ten risk options. Parmenion literature is available from our literature directory. The UK Sustainable Investment and Finance Association (UKSIF) is the UK’s leading membership organisation for businesses involved in SRI. Their membership includes a wide range of financial services businesses including banks, pension funds and financial advisers. Julia has been actively involved with UKSIFs since the late 90’s. This included serving on the UKSIF main board for 7 years and chairing their ‘Retail Revolution sub-committee’ which contributed to a range of improvements in retail SRI. Julia rejoined the UKSIF board in 2018. See UKSIF and the Ethical Investment Association . Julia supports the Rayner Spencer Mills SRI proposition in an advisory capacity. RSMR use our sriStyles in their ‘rated SRI fund list’ and have worked with us to create a joint SRI guide for advisers. 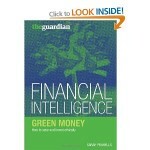 The guide offers an approved fund lists which is split into SRI Styles (as used on Fund EcoMarket). Visit the RSMR website here. Julia regularly collaborates with and helped Panacea Adviser create their Ethical Zone and is a regular contributor of online content, including the 2015 ’30 people’ guide. Panacea is leading provider of online services for financial advisers with over 20,000 adviser and paraplanner users. See PanaceaAdviser home page and Panacea Adviser Ethical Zone for further information. Triodos Bank. Triodos is a specialist Dutch owned ‘sustainable’ bank . Triodos is a highly regarded leader in areas such as microfinance and renewable energy finance. Triodos have also recently (April 2013) launched their first SRI funds for UK investors, with support from sriServices. S arah Pennells is a well known presenter, author and creator of the SavvyWoman money website. Julia Dreblow worked with Sarah in 2009 in the production of the ‘Guardian Guide to Green and Ethical Investment’, which is available through Amazon. Acknowledgments. Julia also presented at a PFS event in 2016, a CISI event in 2017 and had a CII SRI Thinkpiece published in 2016.
sriServices contributed to the April 2013 FT Adviser Guide to SRI for financial advisers – which can be recorded as 60 minutes of CPD training.